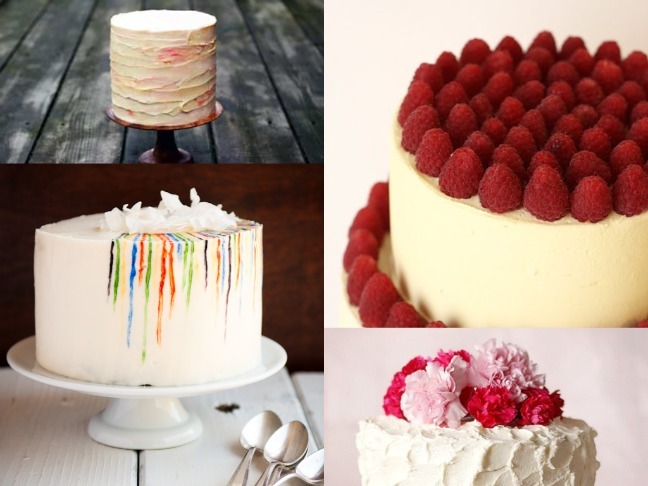 Pretty cakes aren't reserved for just weddings anymore. Go to your local baker, get a plain white frosted cake then decorate that bad boy up for a Sunday dinner. Or do the whole process yourself but don't blame me if it caves in on itself or your left with lumps in your frosting. Peach and Cherry Crumble PieLunchbox Nutrition: Which Kind is the Better (Nut) Butter?